Amigo FlyRider is rated 4.6 out of 5 by 7. 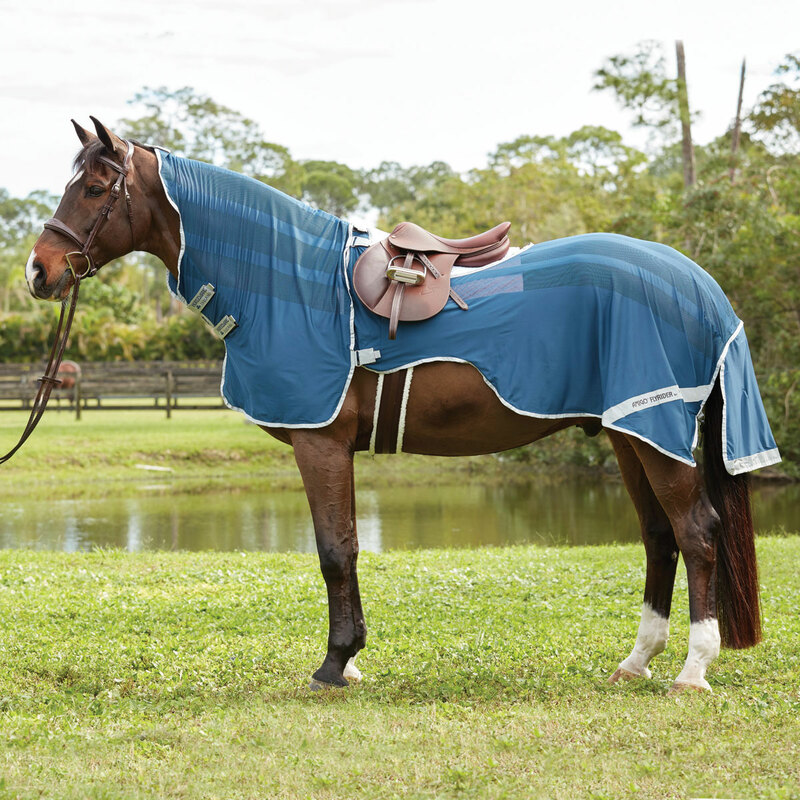 Rated 5 out of 5 by dogandponylover from My horse loves it I have been using this fly sheet for over 5 years. I have a thoroughbred mare who hates flies and this is a life saver for the couple of months (July & August) when the horse flies are bad. Where I used to live there were green heads, but where I live now there are B-52s too, which are truly terrifying. Although I do my best to ride very early before the horseflies are out, I often encounter a a couple B-52s. This fly sheet does a great job of keeping the flies off and keeps my girl happy. Easy to put on, and durable. My only question is- I've read that flies are attracted to dark colors, so why is this dark blue? Also, a lighter color would likely be cooler. Rated 5 out of 5 by Kathy from Love this. Bought for both my horse and my husband's horse. We are inundated with green heads and horse flies. We both work full-time and have to ride late afternoon. These have done a great job! We and the horses are able to concentrate now! Rated 4 out of 5 by Rexy from Great fit! It is great for my thoroughbred who is really bothered by flies and mosquitoes. Rated 5 out of 5 by Alexa from Life changer! The horse flys cause my horse to buck to Mars this time of year. This fly sheet has made riding possible during month of September. Thank you. Rated 3 out of 5 by Paks from Great idea, easy to put on, one flaw My horse seems to be a favorite of the b-52's. It's not uncommon to see 2 or 3 on him at time so good fly protection is essential. This almost fits the bill. Putting it on a tacked up horse is easy. Velcro closures instead of ties that another system I used had. You can still tighten the girth from saddle. It hasn't snagged on anything on the trail so far. And it mostly keeps the flies off. I say mostly because very quickly when riding a 4 inch by 12 inch gap appears between the cantle and the sheet in back leaving a small but accessible target area for the b-52s. This sheet really needs some way to attach it to the back of the saddle so the gap doesn't form. My horse takes a 76 blanket and I ordered the medium so it's not that it is too big. That is the only reason I don't give it 5 stars. If they were to fix that it would be perfect.